Will and Ariel Durant have written a masterpiece in The Lessons of History. Inside the book, which is a condensed version of his life work, you can find an interesting chapter entitled Religion and History that explores the role of religion throughout history. To the unhappy, the suffering, the bereaved, the old, it has brought supernatural comforts valued by millions of souls as more precious than any natural aid. It has helped parents and teachers to discipline the young. 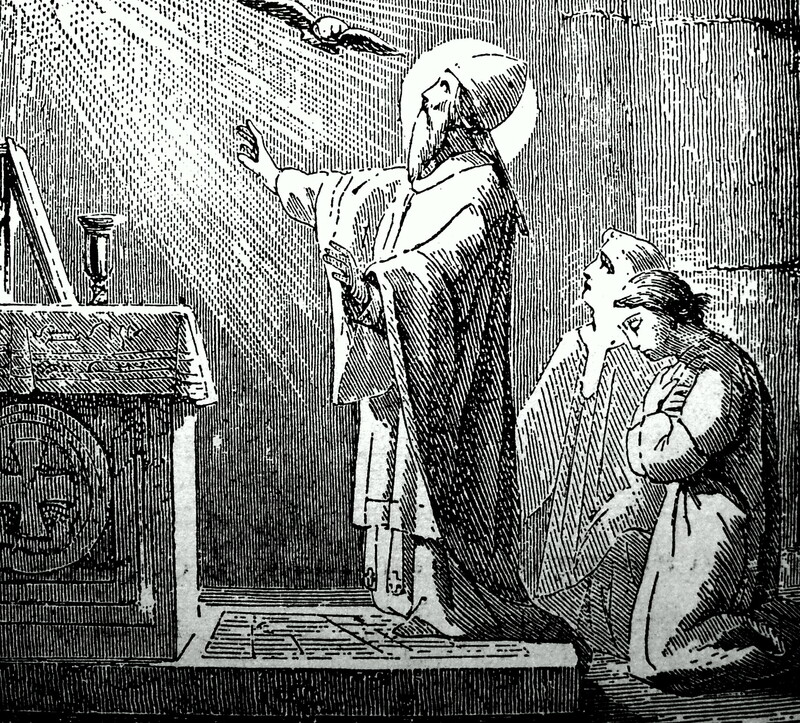 It has conferred meaning and dignity upon the lowliest existence, and through its sacraments has made for stability by transforming human covenants into solemn relationships with God. It has kept the poor (said Napoleon) from murdering the rich. For since the natural inequality of men dooms many of us to poverty or defeat, some supernatural hope may be the sole alternative to despair. Destroy that hope, and class war is intensified. Heaven and utopia are buckets in a well: when one goes down the other goes up; when religion declines Communism grows. The role of religion and morality is not clear at first. According to Petronius, who echoed Lucretius, “it was fear that first made the gods.” The fear he was talking about was a fear of the unexplainable — fear of hidden forces in the earth, oceans, skies, and rivers. Religion became the propitiatory worship of these forces through offerings, sacrifice, incantation, and prayer. Only when priests used these fears and rituals to support morality and law did religion become a force vital and rival to the state. It told the people that the local code of morals and laws had been dictated by the gods. In the eyes of the Durants, the effect of this new moral law was to dampen the worst of moral disorder—sensuality, drunkenness, coarseness, greed, dishonesty, robbery, and violence. “Though the Church served the state,” they write, “it claimed to stand above all states, as morality should stand above power.” The idea of a moral superstate briefly come to fulfillment in the century after The Emperor Henry IV submitted to Pope Gregory VII at Canossa in 1077. The dream crumbled, however, under attacks of nationalism, skepticism and human frailty. The Church, after all, was manned with men who proved all too human in their failings of greed and power. As states became stronger and wealthier they made the papacy a political tool. “Kings,” the Durants write, “became strong enough to compel a pope to dissolve the Jesuit order which had so devotedly supported the popes.” In response, the Church stooped to fraud. Increasingly the religious hierarchy spent time promoting orthodoxy rather than morality. The Inquisition almost killed the Church. Even while preaching peace the Church fomented religious wars in sixteenth-century France and the Thirty Years’ War in seventeenth-century Germany. It played only a modest part in the outstanding advance of modern morality— the abolition of slavery. History has justified the Church in the belief that the masses of mankind desire a religion rich in miracle, mystery, and myth. Some minor modifications have been allowed in ritual, in ecclesiastical costume, and in episcopal authority; but the Church dares not alter the doctrines that reason smiles at, for such changes would offend and disillusion the millions whose hopes have been tied to inspiring and consolatory imaginations. No reconciliation is possible between religion and philosophy except through the philosophers’ recognition that they have found no substitute for the moral function of the Church, and the ecclesiastical recognition of religious and intellectual freedom. Does history support a belief in God? If by God we mean not the creative vitality of nature but a supreme being intelligent and benevolent, the answer must be a reluctant negative. Like other departments of biology, history remains at bottom a natural selection of the fittest individuals and groups in a struggle wherein goodness receives no favors, misfortunes abound, and the final test is the ability to survive. Add to the crimes, wars, and cruelties of man the earthquakes, storms, tornadoes, pestilences, tidal waves, and other “acts of God” that periodically desolate human and animal life, and the total evidence suggests either a blind or an impartial fatality, with incidental and apparently haphazard scenes to which we subjectively ascribe order, splendor, beauty, or sublimity. If history supports any theology this would be a dualism like the Zoroastrian or Manichaean: a good spirit and an evil spirit battling for control of the universe and men’s souls. These faiths and Christianity (which is essentially Manichaean) assured their followers that the good spirit would win in the end; but of this consummation history offers no guarantee. Nature and history do not agree with our conceptions of good and bad; they define good as that which survives, and bad as that which goes under; and the universe has no prejudice in favor of Christ as against Genghis Khan. Bronze statue of Bruno by Ettore Ferrari at Campo de’ Fiori, Rome. As science further develops, it shows our minuscule place in the cosmos. This knowledge further impairs Religion. 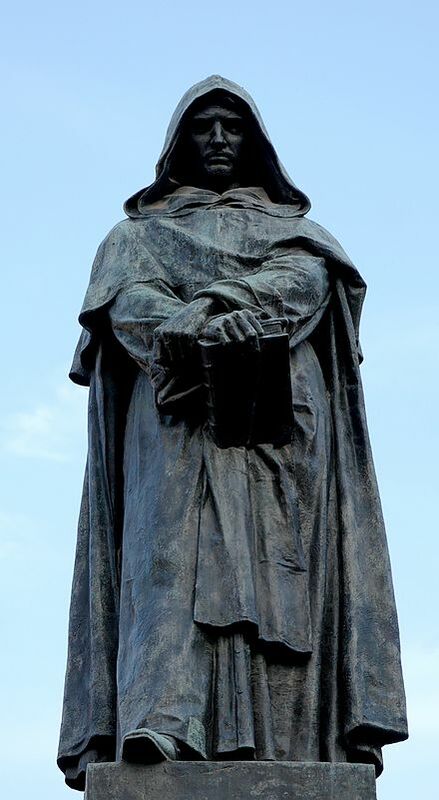 We can date the beginning of the decline with Giordano Bruno and then with Copernicus (1543). In 1611 John Donne was “mourning that the earth had become a mere suburb in the world.” All was thrown into doubt. Francis Bacon proclaimed that science was the religion of the modern man. This was the generation that began the “death of God” as an external deity. So great an effect required many causes besides the spread of science and historical knowledge. First, the Protestant Reformation, which originally defended private judgment. Then the multitude of Protestant sects and conflicting theologies, each appealing to both Scriptures and reason. Then the higher criticism of the Bible, displaying that marvelous library as the imperfect work of fallible men. Then the deistic movement in England, reducing religion to a vague belief in a God hardly distinguishable from nature. Then the growing acquaintance with other religions, whose myths, many of them pre-Christian, were distressingly similar to the supposedly factual bases of one’s inherited creed. Then the Protestant exposure of Catholic miracles, the deistic exposure of Biblical miracles, the general exposure of frauds, inquisitions, and massacres in the history of religion. Then the replacement of agriculture— which had stirred men to faith by the annual rebirth of life and the mystery of growth— with industry, humming daily a litany of machines, and suggesting a world machine. Add meanwhile the bold advance of skeptical scholarship, as in Bayle, and of pantheistic philosophy, as in Spinoza; the massive attack of the French Enlightenment upon Christianity; the revolt of Paris against the Church during the French Revolution. Add, in our own time, the indiscriminate slaughter of civilian populations in modern war. Finally, the awesome triumphs of scientific technology, promising man omnipotence and destruction, and challenging the divine command of the skies. In a way Christianity lent a hand to its reduced place, by fostering a moral sense in believers that could no longer tolerate the vengeful God of traditional Theology. The idea of hell disappeared from educated thought, even from pulpit homilies. Presbyterians became ashamed of the Westminster Confession, which had pledged them to belief in a God who had created billions of men and women despite his foreknowledge that, regardless of their virtues and crimes, they were predestined to everlasting hell. Educated Christians visiting the Sistine Chapel were shocked by Michelangelo’s picture of Christ hurling offenders pell-mell into an inferno whose fires were never to be extinguished; was this the “gentle Jesus, meek and mild,” who had inspired our youth? The industrial revolution replaced Christian with secular institutions. That states should attempt to dispense with theological supports is one of the many crucial experiments that bewilder our brains and unsettle our ways today. Laws which were once presented as the decrees of a god-given king are now frankly the confused commands of fallible men. Education, which was the sacred province of god-inspired priests, becomes the task of men and women shorn of theological robes and awe, and relying on reason and persuasion to civilize young rebels who fear only the policeman and may never learn to reason at all. Colleges once allied to churches have been captured by businessmen and scientists. The propaganda of patriotism, capitalism, or Communism succeeds to the inculcation of a supernatural creed and moral code. But one lesson of history is that religion adapts and has a habit of resurrection. Often in the past it has nearly died only to be reborn. Generally religion and puritanism prevail in periods when the laws are feeble and morals must bear the burden of maintaining social order; skepticism and paganism (other factors being equal) progress as the rising power of law and government permits the decline of the church, the family, and morality without basically endangering the stability of the state. In our time the strength of the state has united with the several forces listed above to relax faith and morals, and to allow paganism to resume its natural sway. Probably our excesses will bring another reaction; moral disorder may generate a religious revival; atheists may again (as in France after the debacle of 1870) send their children to Catholic schools to give them the discipline of religious belief. The Lessons of History is full of condensed wisdom on the meaning of history, the age of play, the lessons of biological history, and more.